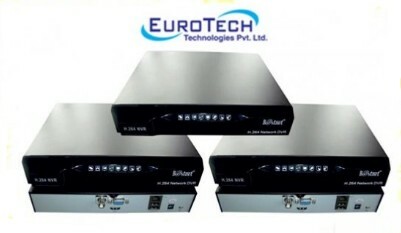 Eurotech Technologies announced the launch of BestNet Advanced NVR. Designed for video surveillance, video encode and record, the NVR features advanced H.264 video Compression, large HDD storage, embedded Linux operating system and a series of advanced attributes. The NVR portfolio addressing enterprise communications and surveillance needs is currently available in 4, 8 and 16 channels.With easy-to-use features and extensive compatibility, BestNet series of NVRs is equipped with a host of functionalities & features that include: recording, playback, monitor, audio and video synchronization, advanced control technology and a strong network of data transmission capacity. For enhanced user experience the NVR comes with integrated entertainment features, such as playing games and HD movies, AVI files, while monitoring at the same time. The NVR supports all major IP camera brands and an ideal solution for indoor surveillance of boutique stores, educational institution, offices, elevators, restaurant, hotels, and health care facilities.“We are delighted to offer our customers a series of feature rich and high performance NVRs at an attractive price point and the BestNet NVR series is ideal for entry-to-middle level applications, said Anuj Jain, Managing Director, Eurotech Technologies Pvt Ltd. The NVR series enable enterprises to achieve greater operational agility and offers adequate and advanced surveillance solution to meet the needs of the industry, he added.